There are a number of Training and Recognitions opportunities just for Commissioners. These training programs will help you be a better Commissioner. A better Commissioner means you are able to help your units and leaders better and more effectively. The recognitions show that you are doing your job as a Commissioner and learning more. Fast start is the first step for any new Commissioner and is to be delivered immediately after a new Commissioner registers and before he or she meets with their assigned units. The Unit Commissioner Fast Start is availble on-line. Access to this video is through your MyScouting account. As one of America's largest youth-serving organizations, our firtst-job is to protect our youth from injury and abuse. We are now offering the Youth Protection Training online. Click here to begin training and learn the facts and responsibilities of youth protection. When you are done, you will be able to print off a trained certificate and we will be automatically notified that you have taken this course. A new Commissioner should complete the Basic Commissioner Training as soon as possible after taking the Commissioner position. There is general Commissioner information and Commissioner specific information. Roundtable Commissioners have special training to address roundtable needs, while Unit Commissioners receive training about visiting their units. 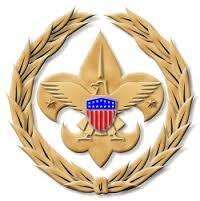 It may also be helpful to a new Commissioner to take the Leader Specific training for Cub Scout Leaders, Boy Scout Leaders, or Venturing Leaders if you have not involved in that area of the Scouting Program, but are not required to become basic trained. In this three-part course, you will learn the fundamentals of the critical job of unit service. Part 1 -- Why Commissioners: Topics covered include Aims and Methods of Scouting, the Commissioner Service Role, Supporting the Unit, and Unit Program Planning. Part 2 -- Units: The Commissioners Greatest Priority: Topics covered include Unit Committee Functions, Youth Protection, and Quality Unit Operation. Part 3 -- How to Help a Unit: Topics covered include a How to Counsel, the District Committee, Membership Management, Unit Charter Renewal Process, and Saving a Unit. In the Commissioner Field Guide, there is a Self-Evaluation form for a Commissioner to evaluate their performance in their Commissioner position. This evaluation will help you determine areas you may need additional training or help from your Assistant District Commissioner. The District Commissioner will hold Commissioner Meetings where all of your district's Commissioner will meet and learn about Commissioner stuff. Here, Commissioners learn of important information to take to their units that they may not get for months. There is also some training on important Commissioner functions. Go beyond the basics and learn additional skills to help you as a Commissioner. Earn your Associate (Basic Training), Bachelors, Masters, or Doctoral Degrees in Commissioner Service. Advanced Commissioner Training is available at the Philmont Training Center located on the grounds of the Philmont Scout Range outside of Cimarron, New Mexico. Here weeklong training-programs are offered over the summer months for leaders from all over the country. Sharing and learning is outstanding at Philmont. Philmont is also a special place to also include your family. It is Scouting Paradise. Other help comes from personal contacts and conferences, commissioner sessions and meetings. Routine information at meetings of the district. From presentations made on subjects relevant to commissioner service at meetings within the district. From response to specific requests for such assistance as advancement help, camping and activities information, etc. A member of a district operating committee or a professional staff member generally makes such presentations. Person-to-person assistance between unit commissioner and unit personnel. From unit leader training courses (Scout leader training). Scouting Magazine and Boys' Life. Own personal experience. A wealth of helpful information may be gained from experience as a unit commissioner. Alert unit commissioners share highlight experiences with their associates. Commissioners as part of their efforts to earn the Commissioner Key earn this award. Requires at least one year of Commissioner Service in your Commissioner position. For requirements, see the Commissioner Key Progress Card below. The Commissioner's Key recognizes Commissioners who have taken twhe recommended training for these positions and have achieved a high standard of performance over a three-year period. This is recognition for all levels of Commissioner Service and requires 5 years of continous service and performance as a Commissioner. You must be nominated for this award. You do not apply for this award. Any registered Commissioner who is providing direct unit service is eligible to earn this award, though unit service and a project that results in improved retention of members and on-time recharter, over the course of two consecutive years. If a Commissioner who is not registered as a Unit Commissioner wishes to earn this award, they must work with the District Commissioner where the unit(s) are registered. Commissioner Award of Excellence in Unit Service progress card is located in the Commissioner Forms Library.